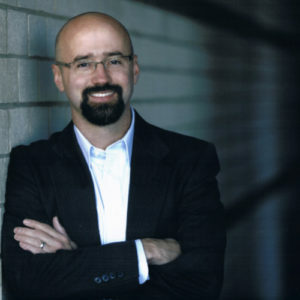 Dr. Graham Snyder is Co-Founder and Chief Executive Officer of SEAL Innovation. Graham co-founded SEAL Innovation to bring SEAL Swim Safe to market in direct response to the tragedies he witnessed while treating both adult and pediatric victims of drowning. Dr. Snyder joined Janet Kennedy on the Trade Show Live podcast to as part of our CES 2019 coverage. Announcer: 00:00 You’re listening to Trade Show, Live! On the Road, featuring conversations with the people who bring trade shows to life, including attendees, exhibitors, sponsors, and trade show, industry thought leaders. We attend trade shows around the country in a wide variety of industries from healthcare consumer products and everything in between. The podcast is a production of The Trade Show Manager, a trade show consulting firm. And now let’s go on the road with Trade Show Live! Janet: 00:27 Welcome to Trade Show, Live! On the Road. In January 2019, we are headed to CES, the Consumer Electronics Show with an amazing group of startups and business leaders from North Carolina will be in Eureka Park and displaying some of the best cool new ideas coming from the startup community here in North Carolina. Joining me is a fascinating product that is very close to my heart because I grew up swimming from an early age. It’s still scary that drowning is a public health epidemic. Joining me on the podcast is Graham Snyder. He is an ER Doc, a physician-entrepreneur and CEO at SEAL Innovation and he’s got a solution. Graham, welcome to the podcast. Graham: 01:17 Thank you Janet. Great to be here. Janet: 01:19 I was very interested in hearing about your company because I actually worked with a scuba organization where you did some of the early prototype testing of your product called SEAL Swim Safe and I think it is so needed and so important. Do you mind telling me a little bit about the history of SEAL Swim Safe and the company SEAL Innovation and and how you came to be. Graham: 01:46 I’d love to Janet. As you may know, my background is as an emergency physician and so I work in a large trauma center taking care of sick and injured adults and children. It is a hard job where there is a lot of tragedy and loss of life and one of the things which really became a passion of mine was preventing probably the single greatest tragedy that I see in the emergency room and that’s the loss of a child. Unfortunately, every spring and summer we have far too many children brought to us either on the brink of death or already lost who have drowned and these children, they look just like my children and their parents look just like me and are oftentimes doing the right thing. They are doing their best, they are paying attention, they are good, responsible parents, but they just miss it. I saw this again and again broke my heart and unlike many problems in life, this is something which is solvable. So I set out with my friends, some physicians and some engineers to come with a solution. Janet: 03:00 I think the idea that physicians as entrepreneurs is really critical for solving a lot of health and safety problem. So often we have developers on the one side inventing something they think is a cool idea and physicians on the other side looking at the problems and they don’t often get together. So when you have a physician who can look at both sides of the issue, I think you’re going to come up with something really effective and it sounds like that’s what’s happened with SEAL Innovation. Graham: 03:30 Thank you. Janet and I, I really feel like one of the reasons that I chose drowning as something which needed to be stopped was because it’s the low lying fruit. If you were going to look at the risk of losing a child, if you looked at gunshot wounds or poisonings or bicycle crashes or ski accidents, none of those things even hold a candle to drowning in terms of their frequency. We lose 10 times as many children from or we lose 10 times as many young children from grounding as we do from bicycle accidents and is against the law to put a child on a bicycle without us bicycle helmet. If you think about what we can do to help the public health, we should start with the big problems and go from there. Janet: 04:24 Well, I understand there’s a lot of misconceptions about drowning as well, so I’m going to toss a couple of you out. One is that, well, if you’ve had swim lessons, you’re fine. Graham: 04:32 Well, unfortunately that’s not true. Now, the reality is swim lessons are very important. Eighty five percent of children that drowned never had a single swim lesson, but by that number tells you a 15 percent have had swim lessons and unfortunately children that know how to swim technically can drown as well. Children by their nature are not that strong and do not have incredible endurance and frankly don’t have the best judgment, and so children hit their head. Children swim until they’re exhausted. Children choke on water. They get water up their nose and panic. One of the hardest cases that I had, and I’ll never forget, this was a six year old girl who was in her backyard pool at a family reunion with loving parents, uncles, aunts, nephews, and one of the parents looked down and saw her pull her up and she was dead and what no one can tell me and what the parents will wonder for the rest of their life is how long was she underwater? Graham: 05:41 They don’t know. They don’t know what happened. She probably got water up or nose panics, spun around in circles, gagged a little and then passed out. And if anyone had noticed, if anyone had happened to see her, they could have saved her, but it just didn’t. The biggest misconception I feel about drowning. Drowning doesn’t look like drowning. If you watch, you watch jaws or you watch a movie or someone’s drowning, normally they’re waving their heads and screaming, Hey, help me. I’m drowning. That’s not what happens. If a person was strong enough to scream and yell, put their hands in the air and tread water without using their hands. They’re outstanding swimmer. But when a person is drowning, they’re exhausted. They can’t breathe. All they can do is quietly bob up and down and inhale. And then they slip under and it’s quiet. No one notices. Graham: 06:32 Um, that’s the, that’s the thing that I’m trying to prevent. So what does your technology do? What is it when a person drowns? Normally they get exhausted quietly, bob up and down, and then slipped to the bottom. What we as human beings notice is not things that are quiet out of you. And still, that’s what drowning looks like. What our device is as our device tracks a child, whether they’re above or below the water, and when they’re below the water, it monitors how long they’re below the water. If they’re below the water, beyond the threshold of pain than the device itself fires off a strobe light and siren that’s too quickly warn a person who is holding their breath for a long time. Hey, you’re really pushing things, but if you go beyond that limit, then it sets off an unmistakable strobe and siren on a hub, alerting everyone in the area., Hey, you got a problem! And you need to do that rescue now. Janet: 07:31 All right, let me ask you a question. Is it a bracelet? Is this a necklace? What, uh, what are they wearing? Graham: 07:36 This is a necklace. The genesis of the idea was that the YMCA for the last couple of decades, children have been given little necklace that have a color code to them. That Color Code simply tells the lifeguard whether they’re allowed in the deep end or not. And they determined that by a swim test. This is a fantastic program and all commercial pools should be doing it. I was at the pool with a with some of the leadership of the YMCA and we were looking at that bands and I thought to myself, well, they’re already wearing a necklace. Can’t we just put a little tick in there that would tell us something more than if they’ve passed their swim tests, but tell me if that child is potentially in danger. Janet: 08:21 Is this only for little children or would you put this on say, an older child who didn’t have strong swim skills? Graham: 08:28 It’s very interesting that you say that. The reality of drowning is that there’s a try modal distribution of drowning by age groups. There’s the little kids, the two, three, four who can’t swim, who fall in the pool and go to the bottom. Then there’s the teenagers, the 13, 14, 15 year olds who are doing crazy things. They’re jumping off and hitting their head. They’re wrestling underwater. They’re holding their breath until they pass out, and then there’s also older people who have medical conditions like seizures, strokes, heart attacks, or maybe just passing out, which if they were on land are perfectly survivable but can be fatal in the water, so what that means is SEAL Swim Safe is designed for anyone who could potentially get in trouble in the water and drowned and that means little children who don’t know how to swim or people who are just learning, but also people that have medical conditions that could potentially cause them to get in a situation where that medical condition could result in a fatality. Janet: 09:36 So in the band they’re wearing around their neck or the necklace, because this isn’t a choker, it is something that’s loose and shouldn’t cause them any discomfort. Correct? Graham: 09:46 Absolutely. The necklace itself is worn loosely. It drapes on the upper chest, like an annual it and it’s neutrally buoyant. What that means is that when you jump in the water wearing it, the child cannot see it or feel it because it’s floating and free space in the water. It’s a comfortable enough to be worn for the entire swim day and not even noticeable until the sirens fire. Janet: 10:12 And when they’re wearing it. What exactly activates the siren? Is it? Is it water? Is it change in level? Graham: 10:20 This was quite a technology to to develop. There are technologies out there that alert you if something gets wet and that is useful for a kid who’s not supposed to be in the water, who falls in, but that’s not what we’re focusing on. What we need is we need four or five, six, seven, eight year olds to be playing in the water, even holding their breath for fun going down, picking up GI Joe’s and pennies. We don’t want an alarm in that situation. We only want the alarm if the child’s head is completely underwater for too long. So the way we have designed the system is it detects the radio frequencies that are transmitted from the hub system itself and the way water modulates that radio frequency tells you whether they’re substantially under the water or not. You know, if they’re just up to their neck and you know, and standing still fine, but if they’re completely submerged and there’s radio frequencies change and alert you to start the timer and when this timer it gets to a critical level, that’s when the alarms fire. Janet: 11:26 So you would set a timer based on the age and skill level of the individual? Graham: 11:32 Yes, and in the current setting, basically there’s a beginning in advance, so we have a three seconds for a little kid who really is going to get scared if they’re underwater for more than a second or two to a bigger child who could hold their breath easily up to 20 seconds. Janet: 11:50 Oh, fascinating. Well you’ve had a to try this out in a commercial setting. So how many units have you had going at any one time and who did you work with to prototype the system? Graham: 12:02 The largest deployment that we ever did was 400 swim bands and we did that at something called a polar bear swim. This was a event sponsored by the YMCAs were hundreds of children and their dads go for a swim in a pool in February. Now it’s not really a cold pool, but because it’s in February and it’s very exciting. They called the polar bear swim. Um, that was a great event and I can tell you going to that event as a physician or as an advocate for the public health, it’s a little scary to have hundreds of children’s in a pool it at once because it’s hard to see the bottom because of all this flashing. But with the system, it was a real relief to know that if anyone went under too long, we would have had a siren and a rescue. Janet: 12:49 Oh, fascinating. Now that sounds like a great match for a commercial setting, which would be any really public pool, but what other kinds of commercial settings do you think this would work in? Graham: 13:00 As a person who manages a pool? One of the hardest situations to monitor is what we call brown water. So if you’ve got a summer camp and a lake, when a child goes under, if they’re under more than about six inches, you can’t see them at all and that is a great opportunity for the SEAL Swim Safe to add an extra layer of protection. That being said, there are municipal pools. Many of the hundreds of cities in the state and tens of thousands in the nation have pools were swimmers, could be five years old and excellent swimmers or 13 and not even know how to tread water. So that’s another great situation. There’s also a swim schools throughout the nation where people are just learning to swim as well as the traditional swim clubs where people both compete and go to play. Janet: 13:52 I think that’s fascinating. Especially when you think about the kids who’ve never had any swim lessons at all and are getting to that age where it’s kind of cool to be rough housing and they want to be out there and they don’t want to ask for help. This is kind of a device that that gives them some backup. Graham: 14:10 I agree. Now, one thing that you could do with a person who doesn’t know how to swim, it’s just put them in a life jacket and that does keep them safe while that life jacket is on. Unfortunately, you know kids don’t really like life jackets that much, but much more important than that is if you’re wearing a life jacket, you will never learn to swam and it’s the learning to swim, which is the critical component. The great thing about the SEAL as you can go in the water and go under water, get maybe get a little water up your nose, learn how to hold your breath, but in a safe environment so that you can become a strong and active swimmer and both protect yourself and one day protect your children as well. Janet: 14:55 Well, I’m glad you’ve had a chance to really test it out in a lot of large group settings, but what about the pool at Grandma’s house? What about the your own backyard pool? What about taking it with you personally? When you go to the beach, is this affordable and accessible to the individual consumer? Graham: 15:13 This winter we’re selling the commercial devices themselves and the residential device will be coming out in the spring and the pricing has not been set yet. Janet: 15:23 All right, so, but it will be something that is available to individual parents and does it matter if you’re going say to salt water versus a pool? Graham: 15:31 No. The system can be used in a fresh water, a saltwater pool, or even in the ocean. Janet: 15:38 Oh, that’s exciting. I think your product is amazing and it’s going to make a huge difference and I think we need to get the word out about it. So I understand you’re joining us at CES. Graham: 15:48 Yes. I’m looking forward to it. Janet: 15:50 We’re going to have an opportunity to talk to you in person. I assume maybe you’re bringing a few bands with you to for a little show and tell. Speaker 2: 15:59 Oh, that’ll be excellent. Well, Graham, I look forward to seeing you next week at CES and for those folks who are listening after CES will have a link in the show notes to all the information that you need to know about SEAL, Swim Safe and how you can become more involved as a consumer. What are you hoping to accomplish at CES? Graham: 16:21 Well, Janet, one of the things which is just so fascinating to me about living in 2019 is the amazing work being done in technology. Obviously there’s excitement and entertainment, but there’s also safety and the expansion of our horizons. One of the things that I am most interested in is seeing how the latest technologies from all around the world are working to help do what we do, make the world a safer, more fun place to live in and I couldn’t be more happy to be there. Janet: 16:58 Well, I look forward to seeing you in person, Graham, and we’ll also be broadcasting another interview live during the event, so I look forward to hearing your observations next week. Graham: 17:08 Thank you Janet. Announcer: 17:10 Thanks for listening to Trade Show, Live! On the Road, a production of The Trade Show Manager, a trade show consulting firm. If you need innovative programs to engage attendees and exhibitors and sponsors, custom research or new solutions for your trade show, contact The Trade Show Manager on our website, thetradeshowmanager.com.